That was a night to remember! As soon as I moored my catamaran at ACI marina Korčula I had the opportunity to welcome another charter catamaran next to me – my brother’s. Following the traditional “rule of the first bar“ we had to visit the bar within the marina. Instead of spending the rest of the night aboard his or mine catamaran we decided to take a walk in the town centre and see what’s new in Korčula, although I was here a week ago and knew all that happened. However, my brother insisted on the rule mentioned above and made me follow him to the first bar next to the marina. It is the terrace connecting two vibrant hotspots of Korčula (the historical city core and noisy night clubbing area behind the bus station), located next to Korčula culture center building. At first it reminded me of ordinary commercial bar typical for tourist destinations all over the world. After my brother’s insisting to stay here (he does not like to walk and he has a great instinct for great places) we met the cheerful owner who introduced us his offer. At this point I became aware of his hospitality, inspiring music that was coming from the loud-speakers and relaxing atmosphere of the terrace. After few words with Emil (the owner) I learned that he was Bulgarian who gained his experience of cocktail making in numerous bars along Western Europe and overseas. Somehow he ended up in Korčula and decided to start his summer business. Besides numerous cocktails offered in the menu Emil decided to surprise us with one of his own inventions – in line with our mood and his imagination. 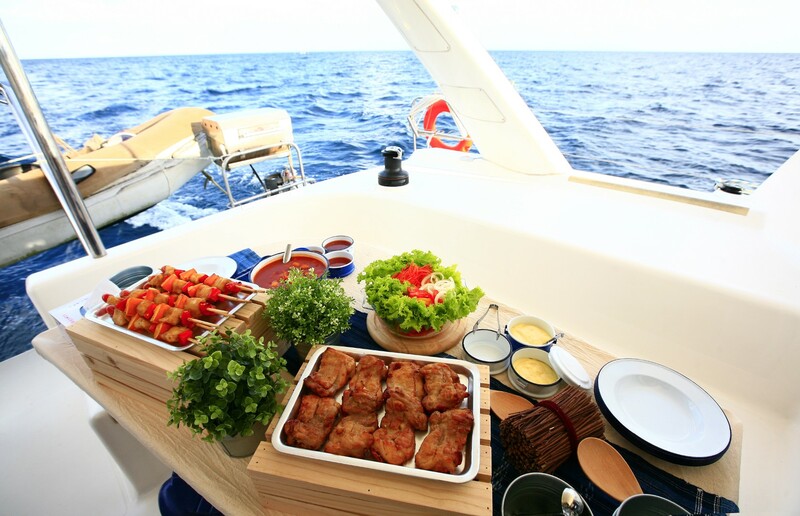 As the chef from my brother’s catamaran was here, we decided to try some of the food offered as well. I tasted absolutely delicious fried squids with white sauce and boneless (!) 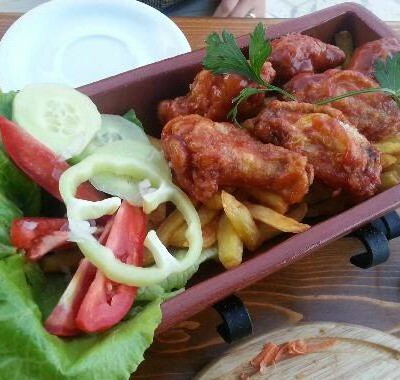 fried chicken wings with a red sauce – a bomb! 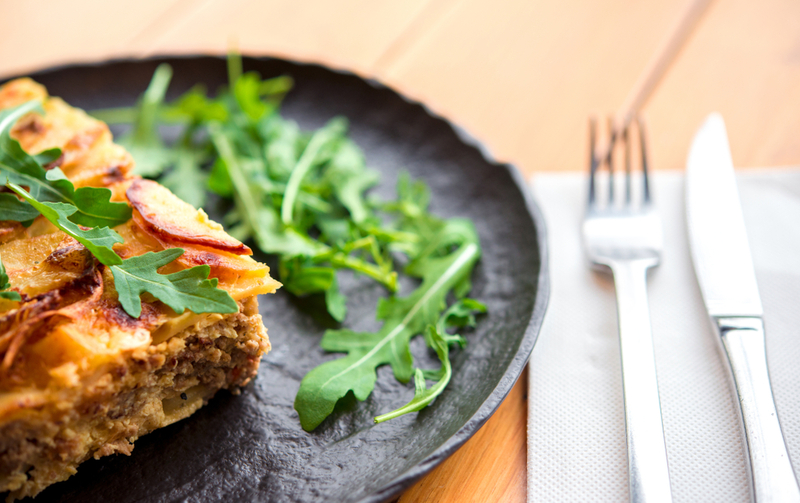 This food has definitely been prepared with a great deal of love as well as the cocktails. From that moment visiting Emil at his Fish & Go in Korčula became a must for all three of us. So when you sail to Korčula I would highly recommend spending the evening at this place as the best possible intro to the hot Korčula night!